Before social media email was	the only other direct method of reaching a contact	online and done responsibly it's still one of the most powerful and cost effective one to one messaging method. Do it right and you'll have people looking out for for next email broadcast, do it wrong and you'll damage your online reputation. Every client's marketing requirements are different but we encourage all clients to embrace this marketing channel. Typically websites that we develop will have an opt-in "newsletter" that can be for marketing messages such as special offers, company news etc. This builds a list of possible new customers that have positively indictaed that they want to receive your mailings. Technically this can be managed by a number of mailing list managers, some free, some chargeable and some bespoke systems written by Toucan. Which ever you choose Toucan will be please to advise and integrate with your websites. 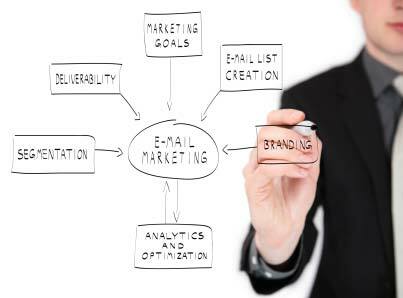 a fully managed email marketing service. We create an original design for your emailer, manage your mailing lists including opt-in and opt-out autoresponders, mail merge and distribute. We also provide web based copies of your mailing for those having trouble reading the email message and verify mailings are below the Spam threshold.